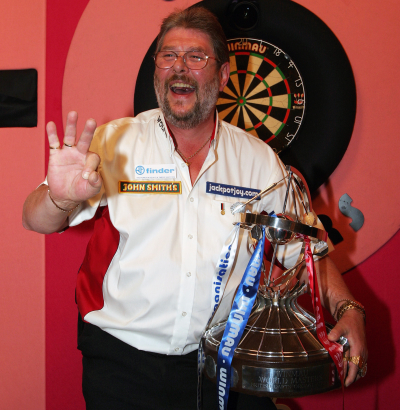 Martin Adams plays since 1982 for the BDO and since this time he is a full time professional. From the time of the split in 1993 he´s captain of the English national team. Adams did win a lot of Open tournaments and two times the WDF World Cup singles. He was not always as successful in the Major tournaments though he is the BDO World Champion 2007, 2010 and 2011 and the Winmau World Masters Winner of 2008 and 2009. Adams is seen as a 100 percent BDO player, he even turned down the PDC invitations to play the Grand Slam though Adams even played a short time between 1999 and 2001 the PDC circuit. He even reached the semi finals of the World Matchplay in 2001 and the quarter finals of the World Grand Prix the same year.